Risk and sacrifice are essential if one is going to make great changes within a short period of time. When Japan was forced to thrust open its doors to western powers in the mid-nineteenth century, the Japanese people had a choice: to succumb to foreign influence or to refuse to lose themselves and to push back. But risk and sacrifice had to be a part of the energy behind that push. There are many groups that gave of themselves to make it possible, but the group that stood out to me was women. The victimization of women is an important part of history, but it is incredibly difficult to teach to teenagers in a sensitive but realistic way is a challenge that history teachers must face. Long before Japan chose a side in the World War II conflict, the small island nation had to look for resources abroad in order to keep up with the western imperial powers (Great Britain, United States, France, etc.). They looked nearby to the Korean Peninsula, Taiwan, and China. In the Mimura essay, she sums up the Japanese army's strategy to build an empire. Japanese soldiers were hungry for the resources, land, and reputation that they wanted for themselves and for their nation. They were not even willing to wait for word from thier own government when it came to opportunities they saw for growing their nation's global footprint. 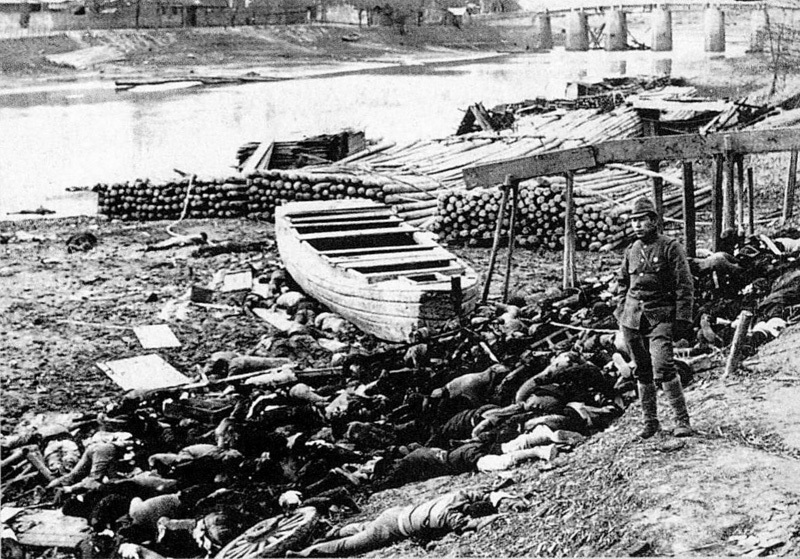 Controversial photo of massacre victims on the shore of the Yangtze River with a Japanese soldier standing nearby. Why were Japanese soldiers committing these horrifying war atrocities? Some of the commanding officers thought that separation from home, family, and women could be one of the reasons. They proposed the idea of comfort women. 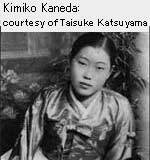 Often through trickery, women from Korea, Taiwan, the Philippines and elsewhere were forced to become sexual servants for Japanese soldiers in Asia and the Pacific. Primary sources tell heartbreaking stories of women who were forced into brothels for as many as 8 years. For more primary accounts see the Digital Museum. Many of these women were victimized while their husbands were away at war. When their husbands returned they could not tell them what had happened and lived with the secrets for the rest of their lives. Other young women were kidnapped while their parents were working or were away. These unwilling women made the ultimate sacrifice. Their stories are not told often enough, but they are doing their best to gain recognition and compensation, although neither will make up for what they dealt with. So how do we as teachers tell this important part of history while being sensitive? We don't want to make history class engaging only because they are enthralled by horrifying human stories that remind them of Hollywood movie scripts, but we don't want to be dishonest and sugarcoat the truth. Perhaps an appropriate mix of historical context, primary accounts, and present-day connections, like in this post, is the best approach.